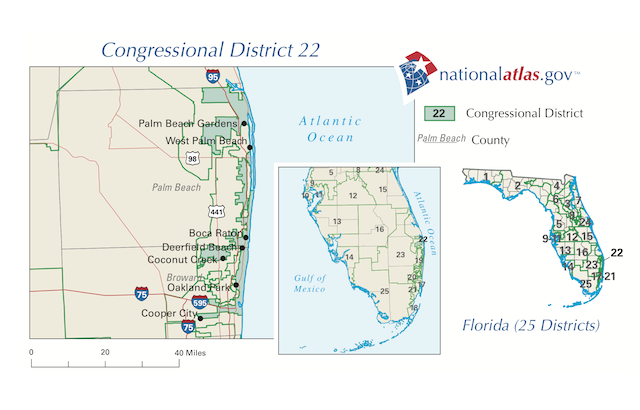 By request, we take a look at a poll by Wilson Research Strategies via the Palm Beach Post covering Florida’s 22nd congressional district. In what is apparently an internal poll, Republican Allen West shows a 44-42 (MoE 4.9) lead over two term Democrat Ron Klein in a district Gore, Kerry, and Obama won with 51, 51, and 52% of the vote. Interestingly, the poll shows West’s favorability/unfavorability ratings at 23/8 versus Klein’s 43/31. So much could happen, but for now West’s poll suggests he is competitive for this seat, though an internal poll without details on the questionnaire leaves us little room for in-depth analysis.